The first Indigo location opened in Burlington Ontario in 1997, created with the desire to bring a unique cultural destination to the Canadian retail marketplace. Indigo Books & Music Inc. ("Indigo"), as it exists today, was created in August 2001 upon the merger with Chapters Inc. Indigo has evolved to become the world’s first cultural department store with locations in all 10 provinces and one territory and also offers an award-winning online experience at indigo.ca. 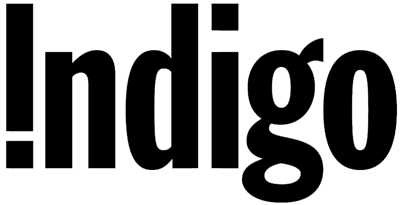 Indigo is now Canada's largest purveyor of ideas and inspirations to enrich your life, with books and eReading, specialty toys, gifts, and lifestyle enhancing products that affordably offer intrinsic quality, beauty and timeless design. Excludes the purchases of American Girl products. The offer applies only to online transactions made from this site. Use the “Shop Now” button and enter your complete 16 digit membership number then press the “Continue” button. Orders and transactions made by phone, in-store or directly on the partner's website are not eligible. CAA Dollars will be credited to your membership account in 30 to 90 days following the purchase. The offer is not valid for previous purchases and cannot be combined with any other affiliate offer(s). CAA Dollars are calculated on the pre-tax price of the merchandise and before shipping.